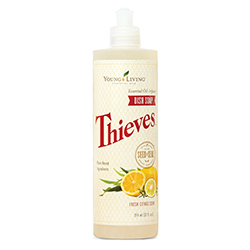 With naturally derived ingredients, Thieves® Washing Up Liquid effectively cleans your dishes without, dyes, or synthetic ingredients. 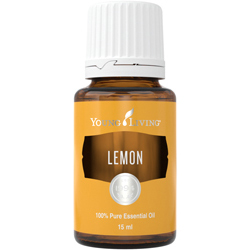 Young Living pure essential oils—Thieves, Jade Lemon, and Bergamot—work with other plant-based ingredients to leave your dishes sparkling clean. 15-30% non-ionic surfactants; Perfumes [May contain: Benzyl bonzoate, Cinnamal, Cinnamyl alcohol, Citral, Citronellol, Eugenol, Farnesol, Geraniol, Isoeugenol, Limonene, Linalool]. 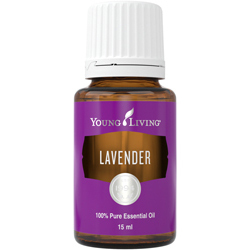 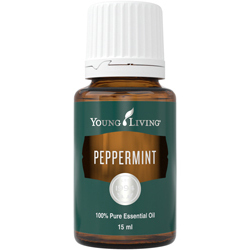 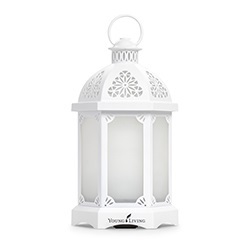 Fragranced with Bergamot, Cinnamon, Clove, Eucalyptus, Lemon, and Rosemary essential oils.